The Banner Saga 3 offers the darkest entry yet in this beautifully animated tactical RPG trilogy. Choices matter and come fast and furious, making this journey a thrilling roller coaster from the opening moments to the ending credits. Combat can be a bit of a chore once you find your footing, and the story ends all too quickly, but The Banner Saga 3 is a rich and powerful experience and a worthy end to a breakout trilogy. Not a good standalone game but a fine ending to the trilogy, that manages to make three games feel like one. The story I ended up with, with its highs and lows, felt like my story, forged by the calls I made in the stress of battle, and I own them. For better or worse. “Nobody trusts anybody now, and we're all very tired” perfectly sums up this final entry in The Banner Saga series. Our fleeting time in this world has never been a happy one, and everyone is all the more weary at the end of it. We've had plenty of memorable moments with various characters along the way, but it's in this entry that the entire journey falls into a bloody maelstrom, as the game steams full throttle towards its brutal conclusion with unfortunately barely a thought to spare for its characters. Alas, main characters sometimes receiving a single line of dialogue to describe their end, if anything at all, is what makes The Banner Saga so unique. Life is fleeting, as it is for the hundreds of clansmen I lost throughout the past four years, as it is for my characters who wandered off and never returned, and as it is for the ultimate conclusion to The Banner Saga. The Banner Saga 3 closes the book on an incredible saga of turn-based action and dark, haunting storytelling. It's hard to make player choices and branching narratives successfully payoff over the course of three games, but Stoic Studios have done just that. It's a shame that they never tried to revamp or update the sluggish combat speed along the way, but that's a small price to pay for a once in a lifetime narrative experience like this. The Banner Saga 3 closes the epic journey created by Stoic. However, its condition of being the ending makes the game a constant rush and, in the end, the decisions and climaxes lose their purpose. A fitting end to the trilogy, and fans of the series so far will not be disappointed with the new gameplay features or the excellent storytelling. As the final chapter of the trilogy, The Banner Saga 3 should not be bought with the hope of finding some kind of gameplay innovations, but to savor the last part of an epic journey in search of safe place and truth. It's true that from an innovation standpoint, The Banner Saga 3 doesn't do a lot different than its predecessors, but that also means the same great tactical RPG system that has been in place since the beginning makes one final push for the endgame. 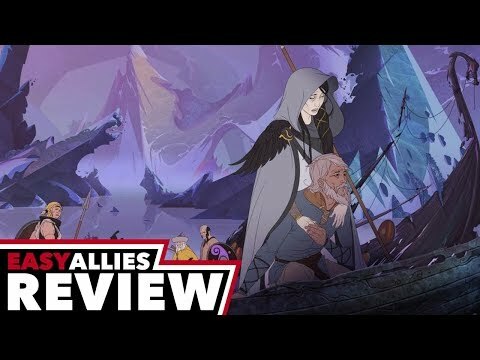 The Banner Saga 3 doesn't offer real innovations or unexpected elements, but, nevertheless, it's a great concluding of an interesting and thoughtful tactical RPG series that will please all fans of dramatic fantasy stories. The Banner Saga 3 is a proud continuation of the games that came before it. The Banner Saga 3 wraps up its six-years-in-the-making epic in poignant, gripping style. The game's tactical battles still have some issues, but their rough edges have been sanded down to the point they no longer detract from the game's stellar writing. The Banner Saga 3 deserves to be held high as a prime example of both video game storytelling and a crowdfunded project done right.